Not so fast, Google – things just don’t work this way. There’s plenty of services to choose from already, so Drive will have to outdo them all to gain victory. And to help you get a better idea of the new service starting position, we have put four of the biggest names in the game side by side in a neat table. 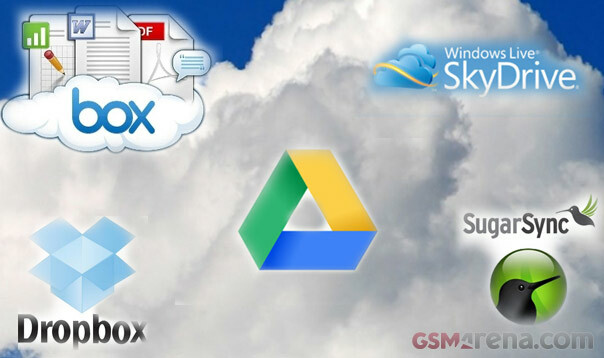 Dropbox, SkyDrive, SugarSync and Box.net are the popular names, so they hardly need an introduction. The first of those, in particular, is the father of the cloud storage business as we know it, so we expect it to be particularly hard to beat. Box.net with its generous 50GB promos as well as the vast reach of SugarSync and Microsoft’s very own SkyDrive shouldn’t be underestimated either. Here’s the comparison table, which should hopefully make it much easier for you to make up your mind which is best right now. So Google Drive does seem up to the challenge, but it will certainly be a tough fight. Which one are you siding with? Or do you simply use all of them to maximize the free storage?